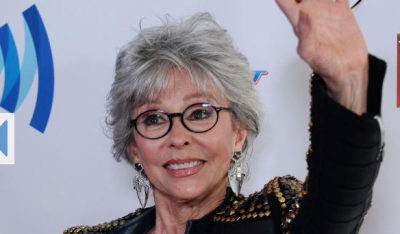 LOS ANGELES, Jan. 30 (UPI) -- Rita Moreno has joined the cast of Jane the Virgin. The 83-year-old actress will portray mother to Rogelio (Jamie Camil) and paternal grandmother to Jane (Gina Rodriguez) on The CW series. Moreno is scheduled to make her debut on season one episode 18. Jane was raised by mother Xiomara (Andrea Navedo) and maternal grandmother Alba (Ivonne Coll), and discovered telenovela star Rogelio is her biological father earlier in the season. Moreno's character is described as an overprotective mother to the actor. Jane the Virgin premiered in October 2014, and was renewed for a second season in January. The dramedy follows Jane, a religious young woman who becomes pregnant after she is artificially inseminated by mistake. Moreno is known for portraying Anita in West Side Story, and won an Academy Award for Best Supporting Actress for the role in 1962. She subsequently appeared in The Ritz and Slums of Beverly Hills, and starred as Sister Peter Marie Reimondo on HBO series Oz.